This species occurs throughout south and central British Columbia; it also extends to Alaska and to California. Acantholyda balanata is a relatively uncommon innocuous solitary defoliator. Mature larva up to 18 mm long. Head, light tan with a pair of seven segmented antennae and rows of brown spots in two patches over the crown. Body, yellowish green with dark green middorsal and midventral stripes, prominent gold spiracles and a yellow subspiracular stripe. A pair of jointed appendages occur at the posterior end. This species overwinters as a prepupal larva in earthen cells. Adults emerge in spring or early summer. Larvae construct silken webs and are active from June to July. Mature larvae drop to the soil in late July to August and construct earthen cells. The principal hosts of Acantholyda balanata are Sitka spruce and Engelmann spruce; other hosts include Douglas-fir, grand fir and western hemlock. 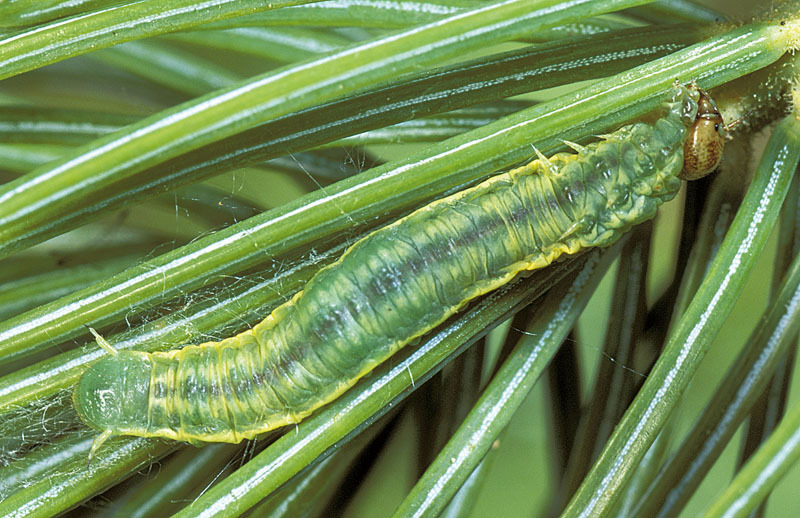 Ventral view of mature larva, on Engelmann spruce. 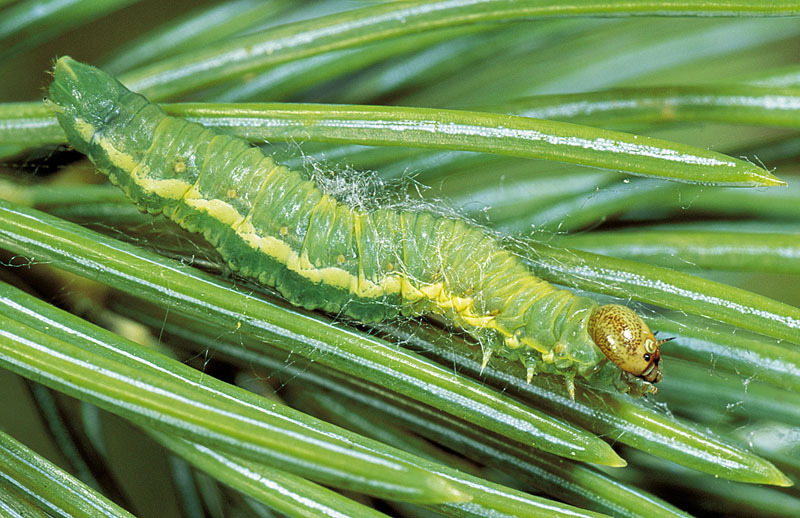 Lateral view of mature larva, on Engelmann spruce.